Enjoy the putting challenge of 9, 18, 36 or 72 holes each with their very own distinct playing surface. And no need to worry about keeping score! 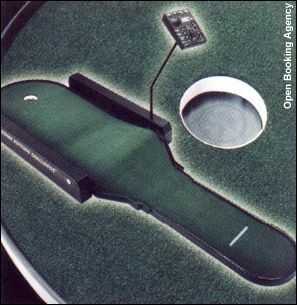 Our computerized caddy will keep track and even applaud for a hole-in-one! Up to 4 players.